Is the EPA on the Ropes? 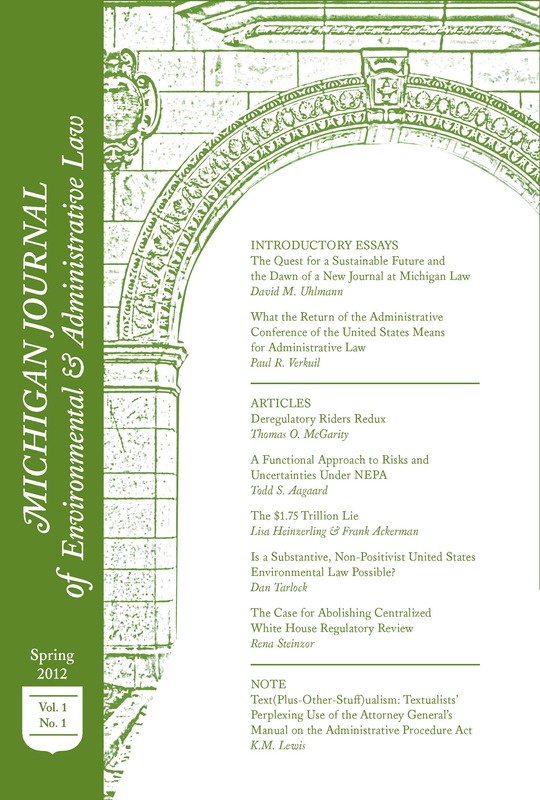 The Legislature is deadlocked on substantive changes to the EPA’s mandate. But in light of a historically neglected budget that has seen reductions over the past three years, it is unlikely that any law expanding protections could be adequately implemented without cuts to other areas of EPA oversight and enforcement. Such a predicament is not the norm in the developed world and our wavering commitment to environmental protections puts us out of step with our European allies. Europe’s commitment to environmental protection can be seen most recently in Norway’s doubling of its carbon tax for offshore gas and oil production beginning in 2013. In contrast, on September 21, 2012, the U.S. House of Representatives passed H.R.3409, or the “Stop the War on Coal Act of 2012.” H.R.3409 is broad and would prevent the EPA from regulating CO2 emissions from cars and power plants or waste from coal mines. More generally, H.R.3409 would not allow the EPA to “ . . . promulgate any regulation concerning, take action relating to, or take into consideration the emission of a green-house gas to address climate change.” While the bill is unlikely to pass in the Senate, it shows a strong undercurrent of support for rolling back regulations. On the other side is the most recent iteration of the Safe Chemicals Act, S.847, which narrowly made it out of the Senate Environment and Public Works Committee in July. This bill would amend and modernize the Toxic Substances Control Act of 1976 by requiring more extensive testing of chemicals used in everyday products and placing the burden on industry to prove the safety of their chemicals. In its current form, accounting for the present and foreseeable political realities, this bill may not pass muster in the Senate and a similar bill will certainly fail in the House of Representatives. The partisan atmosphere in Washington makes meaningful legislative change to the EPA’s mandate, either in restricting or expanding its scope, unlikely in the foreseeable future. In the meantime though the reality of long-term budgetary neglect has the effect of reducing enforcement of those regulations already promulgated. Federal outlay of capital by program is one way to visualize a program’s perceived importance relative to others. The EPA’s outlays as a percentage of total federal outlays hit its high-water mark in 1977 at 1.1%. Between 1977 and 1984 the EPA’s share of total outlays dropped to 0.5% and slid thereafter to 0.3% in 2011. By 2013 it is expected to drop to about 0.2%, its lowest share since 1970. Using the estimated outlays for 2013, $8,935 million, our investment in environmental protection will come to about $28 per person or $2,354 per square mile of land in the U.S. In comparison, Norway’s numbers for 2013 will be $205 and $7,710, or roughly seven and three times higher respectively. In April, the American Federation of Government Employees at the EPA released a memo titled EPA’s Office of Enforcement and Compliance Assurance – Areas of Proposed Budget Adjustment for FY13 in which reductions were proposed for many areas of enforcement in light of budgetary constraints. In all, the EPA will reduce investments in enforcement related to acid rain, biosolids, chemical inventory tracking, asbestos, PCBs, and stratospheric ozone; additional and even deeper cuts will be seen in monitoring of underground injection control and underground storage tanks. Overall, criminal enforcement will focus only on violations with the largest impact on health and the environment, though just where that line actually falls is unclear. Many of these reductions are memorialized in the EPA’s FY 2013 Plan. While some will celebrate the efficiency and high return of the EPA’s ever stronger focus only on egregious violations, it will be cold comfort to those who believe that current levels of enforcement are already insufficient to adequately protect human health and the environment. As long as the EPA’s budget is held at current levels, which is expected, more or less, at least through 2017, the agency will have to engage in a form of strict environmental triage. Any further financial contraction will see more important programs curtailed and even legislation extending EPA oversight in one area will mean a forced reduction to others. While EPA opponents and proponents alike are apt to be disappointed by stalemates in Congress for the foreseeable future, the blanket of environmental protections is becoming increasingly threadbare as a result of cuts and stagnant funding. Without increased funding the EPA will be forced to continue reductions in enforcement through attrition. EPA opponents will see decreased regulation as a boon for private industry and the market economy while proponents will be left bemoaning the health of the people and environment that make a strong future economy possible. – Matt McCurdy is a General Member of MJEAL. He can be reached at mccurdym@umich.edu.